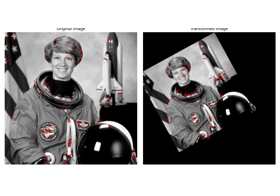 Convert an image array to a new color space. 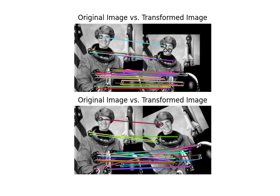 Make an educated guess about whether an image has a channels dimension. RGB to HSV color space conversion. HSV to RGB color space conversion. RGB to XYZ color space conversion. XYZ to RGB color space conversion. RGB to RGB CIE color space conversion. RGB CIE to RGB color space conversion. 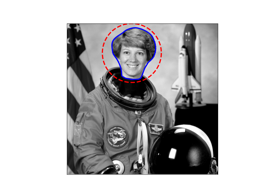 Compute luminance of an RGB image. 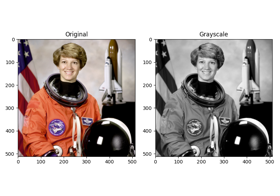 Create an RGB representation of a gray-level image. XYZ to CIE-LAB color space conversion. CIE-LAB to XYZcolor space conversion. Lab to RGB color space conversion. RGB to lab color space conversion. RGB to Haematoxylin-Eosin-DAB (HED) color space conversion. 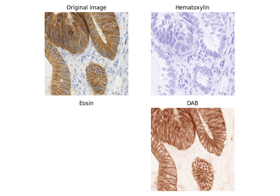 Haematoxylin-Eosin-DAB (HED) to RGB color space conversion. CIE-LAB to CIE-LCH color space conversion. CIE-LCH to CIE-LAB color space conversion. 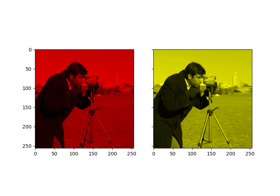 RGB to YUV color space conversion. YUV to RGB color space conversion. RGB to YIQ color space conversion. YIQ to RGB color space conversion. RGB to YPbPr color space conversion. YPbPr to RGB color space conversion. 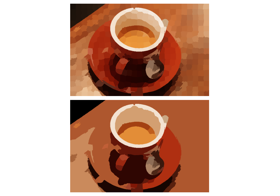 RGB to YCbCr color space conversion. 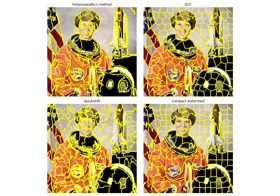 YCbCr to RGB color space conversion. 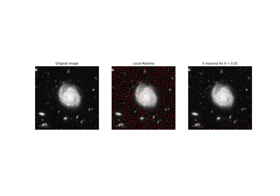 RGB to YDbDr color space conversion. YDbDr to RGB color space conversion. 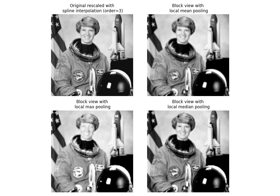 RGB to stain color space conversion. 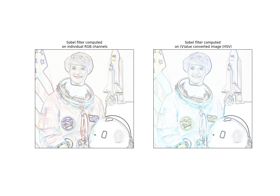 Stain to RGB color space conversion. 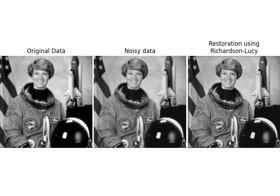 Return an RGB image where color-coded labels are painted over the image. Color difference as given by the CIEDE 2000 standard. Color difference from the CMC l:c standard. The color space to convert from. Can be specified in lower case. The color space to convert to. Can be specified in lower case. Conversion is performed through the “central” RGB color space, i.e. conversion from XYZ to HSV is implemented as XYZ -> RGB -> HSV instead of directly. The number of spatial dimensions of image . If ambiguous, the value is None. 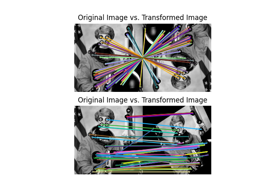 If the image array has less than two or more than four dimensions. 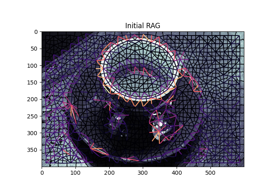 The image in RGBA format, in a 3-D array of shape (.., .., 4). The color of the background to blend the image with. A tuple containing 3 floats between 0 to 1 - the RGB value of the background. The image in RGB format, in a 3-D array of shape (.., .., 3). If rgba is not a 3-D array of shape (.., .., 4). 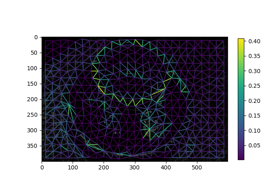 The image in HSV format, in a 3-D array of shape (.., .., 3). If rgb is not a 3-D array of shape (.., .., 3). 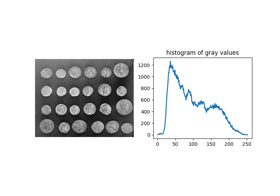 Conversion between RGB and HSV color spaces results in some loss of precision, due to integer arithmetic and rounding . If hsv is not a 3-D array of shape (.., .., 3). The image in RGB format, in a 3- or 4-D array of shape (.., ..,[ ..,] 3). The image in XYZ format, in a 3- or 4-D array of shape (.., ..,[ ..,] 3). If rgb is not a 3- or 4-D array of shape (.., ..,[ ..,] 3). The CIE XYZ color space is derived from the CIE RGB color space. Note however that this function converts from sRGB. The image in XYZ format, in a 3-D array of shape (.., .., 3). If xyz is not a 3-D array of shape (.., .., 3). The CIE XYZ color space is derived from the CIE RGB color space. Note however that this function converts to sRGB. The image in RGB CIE format, in a 3-D array of shape (.., .., 3). If rgbcie is not a 3-D array of shape (.., .., 3). The image in RGB format, in a 3-D or 4-D array of shape (.., ..,[ ..,] 3), or in RGBA format with shape (.., ..,[ ..,] 4). 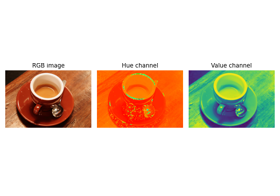 The luminance image - an array which is the same size as the input array, but with the channel dimension removed. If rgb2gray is not a 3-D or 4-D arrays of shape (.., ..,[ ..,] 3) or (.., ..,[ ..,] 4). If there is an alpha channel present, it is ignored. Input image of shape (M[, N][, P]). 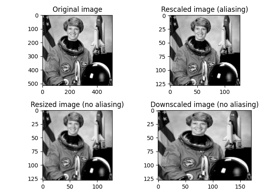 Ensure that the output image has an alpha layer. If None, alpha layers are passed through but not created. RGB image of shape (M[, N][, P], 3). If the input is not a 1-, 2- or 3-dimensional image. If the input is a 1-dimensional image of shape (M, ), the output will be shape (M, 3). The name of the illuminant (the function is NOT case sensitive). The aperture angle of the observer. The image in CIE-LAB format, in a 3- or 4-D array of shape (.., ..,[ ..,] 3). If xyz is not a 3-D array of shape (.., ..,[ ..,] 3). If either the illuminant or the observer angle is unsupported or unknown. By default Observer= 2A, Illuminant= D65. CIE XYZ tristimulus values x_ref=95.047, y_ref=100., z_ref=108.883. See function get_xyz_coords for a list of supported illuminants. The image in lab format, in a 3-D array of shape (.., .., 3). If lab is not a 3-D array of shape (.., .., 3). If either the illuminant or the observer angle are not supported or unknown. 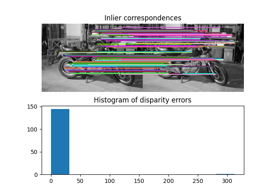 If any of the pixels are invalid (Z < 0). By default Observer= 2A, Illuminant= D65. CIE XYZ tristimulus values x_ref = 95.047, y_ref = 100., z_ref = 108.883. See function ‘get_xyz_coords’ for a list of supported illuminants. This function uses lab2xyz and xyz2rgb. By default Observer= 2A, Illuminant= D65. CIE XYZ tristimulus values x_ref=95.047, y_ref=100., z_ref=108.883. See function get_xyz_coords for a list of supported illuminants. The image in Lab format, in a 3- or 4-D array of shape (.., ..,[ ..,] 3). This function uses rgb2xyz and xyz2lab. By default Observer= 2A, Illuminant= D65. CIE XYZ tristimulus values x_ref=95.047, y_ref=100., z_ref=108.883. See function get_xyz_coords for a list of supported illuminants. The image in HED format, in a 3-D array of shape (.., .., 3). A. C. Ruifrok and D. A. Johnston, “Quantification of histochemical staining by color deconvolution.,” Analytical and quantitative cytology and histology / the International Academy of Cytology [and] American Society of Cytology, vol. 23, no. 4, pp. 291-9, Aug. 2001. The image in the HED color space, in a 3-D array of shape (.., .., 3). The image in RGB, in a 3-D array of shape (.., .., 3). If hed is not a 3-D array of shape (.., .., 3). The N-D image in CIE-LAB format. The last (N+1-th) dimension must have at least 3 elements, corresponding to the L, a, and b color channels. Subsequent elements are copied. 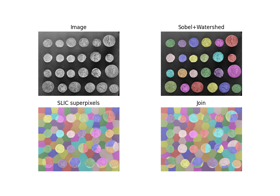 The image in LCH format, in a N-D array with same shape as input lab . If lch does not have at least 3 color channels (i.e. l, a, b). 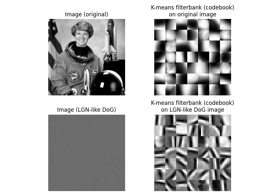 The N-D image in CIE-LCH format. The last (N+1-th) dimension must have at least 3 elements, corresponding to the L, a, and b color channels. 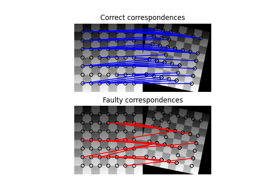 Subsequent elements are copied. The image in LAB format, with same shape as input lch . If lch does not have at least 3 color channels (i.e. l, c, h). The image in RGB format, in a 3- or 4-D array of shape (M, N, [P,] 3). 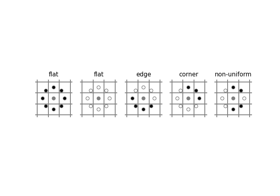 The image in YUV format, in a 3- or 4-D array of shape (M, N, [P,] 3). If rgb is not a 3- or 4-D array of shape (M, N, [P,] 3). If yuv is not a 3- or 4-D array of shape (M, N, [P,] 3). The image in YIQ format, in a 3- or 4-D array of shape (M, N, [P,] 3). If yiq is not a 3- or 4-D array of shape (M, N, [P,] 3). The image in YPbPr format, in a 3- or 4-D array of shape (M, N, [P,] 3). If ypbpr is not a 3- or 4-D array of shape (M, N, [P,] 3). 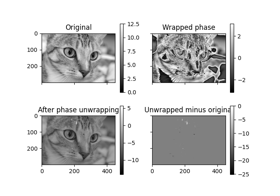 The image in YCbCr format, in a 3- or 4-D array of shape (M, N, [P,] 3). If ycbcr is not a 3- or 4-D array of shape (M, N, [P,] 3). The image in YDbDr format, in a 3- or 4-D array of shape (M, N, [P,] 3). This is the color space which is commonly used by video codecs, it is also the reversible color transform in JPEG2000. If ydbdr is not a 3- or 4-D array of shape (M, N, [P,] 3). The stain separation matrix as described by G. Landini . 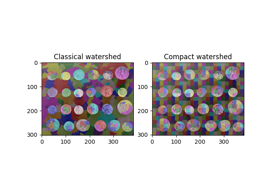 The image in stain color space, in a 3-D array of shape (.., .., 3). If stains is not a 3-D array of shape (.., .., 3). 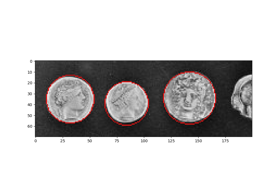 Integer array of labels with the same shape as image . Image used as underlay for labels. 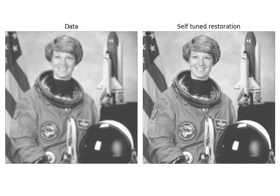 If the input is an RGB image, it’s converted to grayscale before coloring. List of colors. If the number of labels exceeds the number of colors, then the colors are cycled. Opacity of colorized labels. Ignored if image is None . Label that’s treated as the background. Background color. Must be a name in color_dict or RGB float values between [0, 1]. The kind of color image desired. 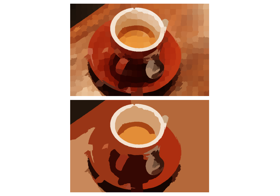 ‘overlay’ cycles over defined colors and overlays the colored labels over the original image. ‘avg’ replaces each labeled segment with its average color, for a stained-class or pastel painting appearance. 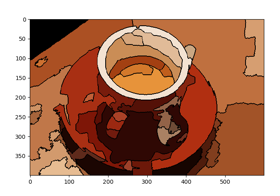 The result of blending a cycling colormap ( colors ) for each distinct value in label with the image, at a certain alpha value. A. R. Robertson, “The CIE 1976 color-difference formulae,” Color Res. Appl. 2, 7-11 (1977). Accommodates perceptual non-uniformities through the use of application specific scale factors ( kH , kC , kL , k1 , and k2 ). deltaE_ciede94 is not symmetric with respect to lab1 and lab2. CIEDE94 defines the scales for the lightness, hue, and chroma in terms of the first color. Consequently, the first color should be regarded as the “reference” color. CIEDE 2000 is a major revision of CIDE94. The perceptual calibration is largely based on experience with automotive paint on smooth surfaces. CIEDE 2000 assumes parametric weighting factors for the lightness, chroma, and hue ( kL , kC , kH respectively). These default to 1. 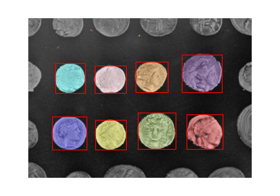 M. Melgosa, J. Quesada, and E. Hita, “Uniformity of some recent color metrics tested with an accurate color-difference tolerance dataset,” Appl. Opt. 33, 8069-8077 (1994). This color difference was developed by the Colour Measurement Committee (CMC) of the Society of Dyers and Colourists (United Kingdom). It is intended for use in the textile industry. The scale factors kL , kC set the weight given to differences in lightness and chroma relative to differences in hue. The usual values are kL=2, kC=1 for “acceptability” and kL=1, kC=1 for “imperceptibility”. 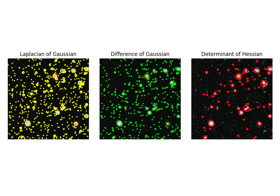 Colors with dE > 1 are “different” for the given scale factors. F. J. J. Clarke, R. McDonald, and B. Rigg, “Modification to the JPC79 colour-difference formula,” J. Soc. Dyers Colour. 100, 128-132 (1984).